The EL2321 Series provides media conversion between "10/100/1000BASE-TX" and "100BASE/1000BASE-SX-LX Fiber or 100/1000BASE-SFP Fiber." 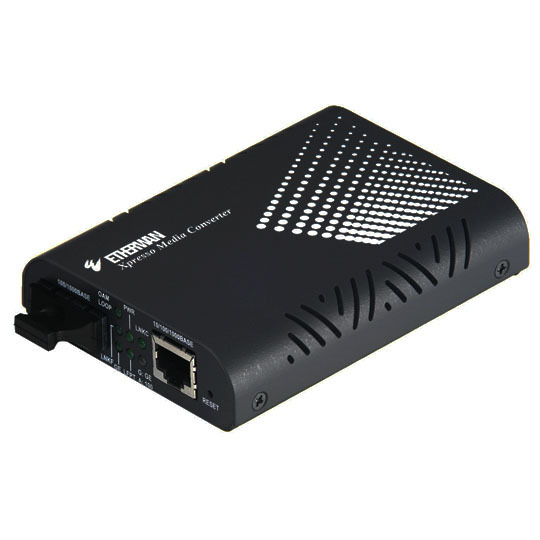 The EL2321’s fiber design is compatible to 100BASE fiber or 1000BASE fiber transceiver. 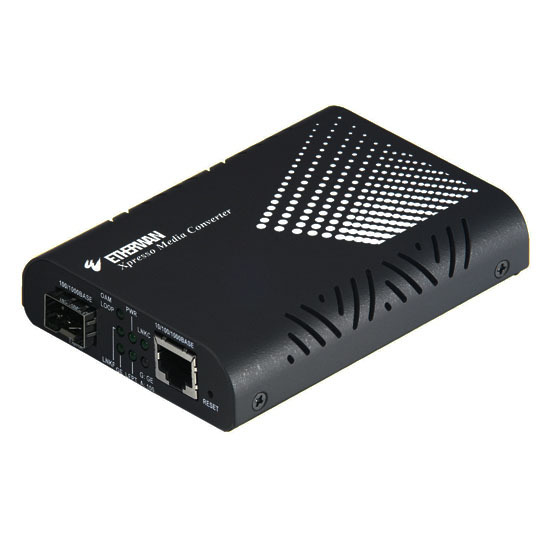 The EL2321 managed media converter supports Telnet, SNMP v1/v2, and web browser management enabling value-added connectivity and bandwidth control. Key features include; 802.3ah OAM compliance, VLAN tagging, broadcast storm protection, Far-End-Fault, and Link-Fault-Pass-Through resulting in reliable communications between networks. With link down alarming and a wide range of fiber connectivity options the EL2321 is the ideal media converter for environments where connectivity is variable.